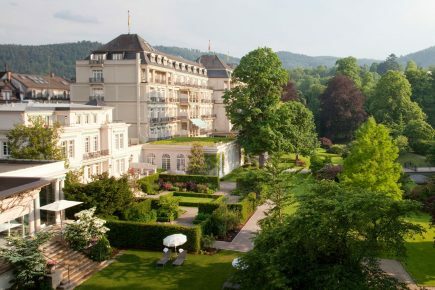 Using a unique, integrated combination of nutritional, physical and medical detoxification in the stunning location of the luxurious and innovative Black Forest medical retreat Villa Stéphanie. This is the magic behind The Kings Way by Dr Harry F. König. Based on the knowledge of modern University medicine, combined with the tradition of naturopathy and 25 years of experience of the respected Dr König – The Kings Way is the ultimate weight loss and intense detoxification programme. The intense combination of individual dieting, a personalised training programme and daily medical supervision with adapted treatments will create dramatic results. This is a life-changing, results driven weight loss and detox programme with individual sustainability for your mind, body and soul. Nutrition (full board): on the basis of teas, smoothies and soups. On the two last days vital cuisine. Terms & conditions apply. Please refer to the property’s website for details.